Through an innovative analysis of environmental regulation, the advocacy work of environmental health groups, the expansion of the health-food chain Whole Foods Market, and interviews with consumers, Norah MacKendrick ponders why the problem of toxics in the U.S. retail landscape has been left to individual shoppers—and to mothers in particular. She reveals how precautionary consumption, or “green shopping,” is a costly and time-intensive practice, one that is connected to cultural ideas of femininity and good motherhood but is also most available to upper- and middle-class households. 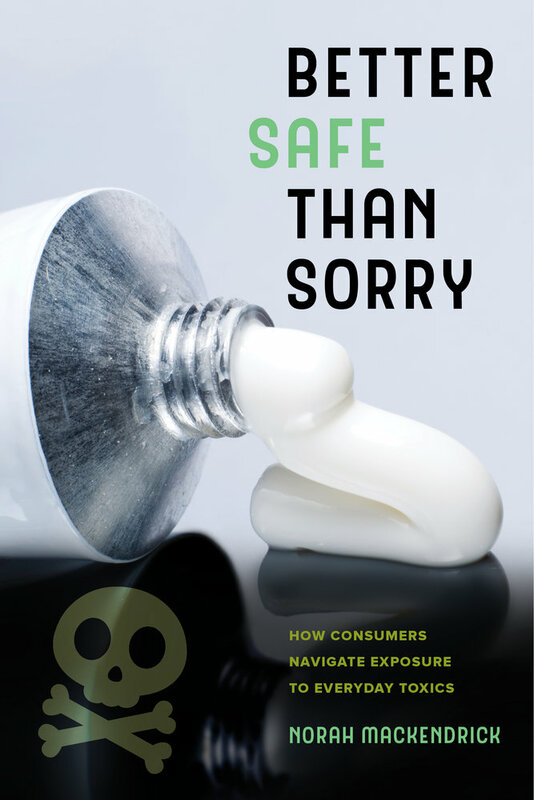 Better Safe Than Sorry powerfully argues that precautionary consumption places a heavy and unfair burden of labor on women and does little to advance environmental justice or mitigate risk. Norah MacKendrick is Assistant Professor of Sociology at Rutgers University.